I had been mildly successful in avoiding Lush stores – while being able to smell them a mile away I've never really managed to get over the general sense of revulsion I experience when walking near one. I bit the bullet and actually decided to venture into their Manchester store a couple of years go (looking back, sadly for me it was actually close to a decade ago) – yes the hype I’d read about Lush overcame the rational (well I think I’m rational) thoughts bouncing around my noggin (that’s head for you non-Northern readers). "I Should Coco" soap bar. 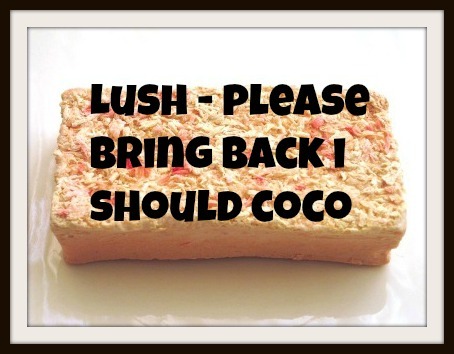 I’d read about the "I Should Coco" soap bar online and saw it as too girlie to actually use. I bought a 100g bar and from the first time I used it I was hooked. The pictures show the bar in all its glory and I won't be going into any amazing description of it. The only thing that you tend to miss nowadays when buying it online like some sort of subversive is the coconut on the top as shown below from my latest eBay purchase. For £1.95 for a bar weighing 100g it was never cheap soap by any stretch of the imagination. Layered into three shades of pink the topside of the bar was coated in flakes of coconut making it very easy to grip, even when wet. Basically the soap looked and oozed a very feminine vibe. It’s not something you’d be rushing to take into the showers at the gym. The bar itself contains creamed coconut along with Orange and Coriander oil which smells almost sickly sweet. I wasn't never sure whether I should be washing with it, or indeed taking a sizeable bite from it. The mild coconut aroma is striking and blends fantastically well with the Orange oils. After it is immersed in warm water, the aroma from the bar increases but never becomes overpowering on the senses. I'm now down to my last nub of the soap and actually worried about the day it is no more, deceased like a certain Norwegian Blue (if you don't get it reference 'Dead Parrot' by Monty Python). The beauty of this soap is that that it lathers up superbly, with a little going a very long way. The coconut flakes act as a mild abrasive, exfoliating dead skin as you wash meaning that not only did you not need to use half a bar in the shower, but you also didn't need to use a different product to moisturise after washing. The final results were and continue to be amazing, my skin felt clean, fresh and above all moisturised. Any traces of body odour after travelling on a packed tube train were removed and the soap left a very subtle but noticeable coconut fragrance that lingered for a few hours. What more could you ask from a soap? I now regularly use this in the shower and haven't noticed any adverse effects at all. I'm actually quite tight with the use now though! The only problems apart from the actual price is that when used in the bath the soap does fall to pieces rather quickly. It turns the water pink, there is an oily residue around the bath and floating pieces of coconut seem to take an absolute age to remove when getting dried! 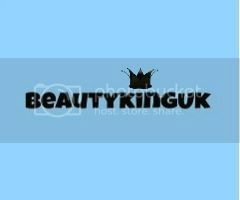 Overall I love this product and will not be returning to 90% of the major high street brands. Using this encouraged me to try more from the Lush range. I’ve been converted – I’m no longer a Lush-o-sceptic! I'm so in love with this soap that I think we should let Lush know how we feel. Show your support for the reintroduction of "I Should Coco" by clicking on the poll on the right hand side of this page - two seconds of your time could sway opinion. I love lush products and their stores smell heavenly. This sounds great! I've always been a shower gel kinda guy but reading your review made me want to try this, especially since I am quite partial to anything coconut.